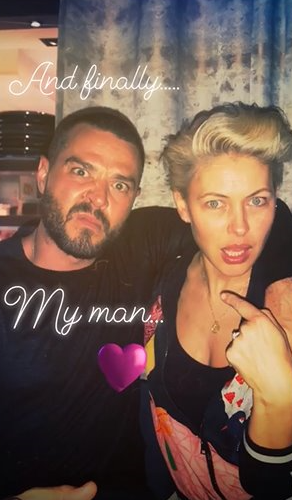 The Voice host Emma Willis has opened up about how wonderful her hubby Matt Willis is with a loved-up post on Instagram. Matt whisked Emma away to celebrate her 43rd birthday and she thanked him for making the surprise trip so special for her. She shared a pic on Instagram which showed her giving him a big kiss as they sat in a restaurant. Parents Emma and Matt got to have some downtime and Emma clearly relished their time together as she posted more snaps on her Instagram Stories. In one shot, she revealed the decadent cheesecake the Busted star had made specially for her. The TV star turned 43 yesterday (20 March) and fans rushed to wish her a Happy Birthday, while others said how nice it was to see the couple, who celebrated their 10th wedding anniversary last year, still looking so happy. The couple have three children together, Isabelle, nine, Ace, seven and 22-month-old Trixie Grace. Emma was no doubt enjoying some time off with Matt amid her hosting gig on The Voice. The ITV talent contest’s live shows are now in full swing.